Todd Hawkins is President. Jonathan Fishbeck is CEO. BuilderFish designs, constructs and serves private estates. Tectonics has the reputation of using the finest materials available, providing superb craftsmanship and unsurpassed quality of construction. Our construction guarantee covers a two year period from the date of occupancy rather than the one year given by most builders. We can provide this guarantee because Tectonics stands for quality, commitment to each and every owner and an organization that maintains the highest standards of excellence. You can be assured that our costs will be competitive and that our quality of construction will be superior. Arterra Design and Construction is a truly custom residential and commercial builder. We take pride in sharing our enthusiasm for exciting and innovative construction styles and methods including green construction, Timber frame, straw bale homes, contemporary and traditional styles, including active and passive solar strategies and implementation. Our goal is to provide clients with top quality construction and value. We understand building a home is often the biggest personal investment a client makes and we want to ensure they enjoy the process from design to move in day. Our mission at Uhler & Company is to provide our customers the utmost satisfaction. The building process can seem daunting; having a building company you can trust will make your next project something to look forward to. Kingma Developers is a design/build company. We place an emphasis on craftsmanship, thoughtful design, and sustainability. A father-son team, Doug and Dirk Kingma are Earthcraft certified builders striving to build high-quality homes with their clients’ needs, desires, and budget in mind. Doug earned a BS Architecture degree from the University of Virginia. Good builders are great listeners. Construction requires constant communication within the team. At KDI, clients can easily visualize their project through our use of CAD. Whether we are collaborating with a local architect, or helping our customers to refine their concepts, the goal is a truly custom home. We are a design/build firm based in Charlottesville VA. We work on Residential Projects, Commercial Projects and Restaurants. T.E.A.L. Construction offers a wide range of services. In a word: "No job is too big or too small!" Furthermore, the TEAL Construction team has extensive experience with industry-specific niches, such as historical renovation, and lead-based paint removal. At TEAL Construction, we certainly do our share of new construction, but we are also available to help you with your renovations, remodeling, and additions. Our goal is for each new project to blend with existing construction and its environment, as if the new construction was part of the original structure. T.E.A.L. promises TURNKEY completion of your project! HAUSCRAFT is an architect led design build company. We integrate the design and construction processes to craft dwellings with synergy between inhabitant, community, and natural environment. 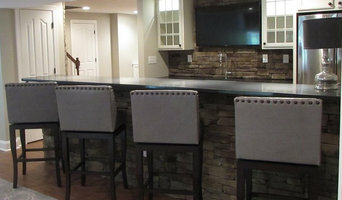 We are a licensed Class A General Contractor and Architect in the State of Virginia. We build housing on the fringe of cutting edge and conventional, always seeking to improve where there is real benefit to the customer and the environment. We make place with our structures and create buildings that foster community among the inhabitants and the surrounding context. A design and build company does pretty much what it says on the tin – designs and builds your home; helping you design your own house from scratch, pick out the small details and actually bring your dream home to life. They will take on the responsibility of planning the project, drawing up the designs, costing, sourcing the building materials and supplies, building the structure, installing any permanent features and possibly advising on the interior design of your home; all while consulting you every step of the way. 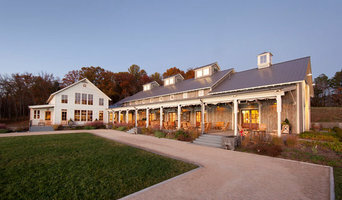 A design and build company in Free Union, VA will usually employ in-house architects to handle all of the technical design aspects of your renovation or build, whether that’s to design a house or just a kitchen, and will also have main contractors or project managers that will oversee the construction work. The project managers will either work with external building contractors or construction companies, or the design and build company may employ their own builders to carry out the construction work. Either way, all the work is managed by one company and so this means communication is easier and the work is more streamlined. You’ll probably have just one design and build contract, making responsibility simpler and clearer, and also reducing costs for you. However, you should always check this design and build contract closely to see exactly what the firm is agreeing to take responsibility for, so that you don’t get left in the cold at any point. You don’t have to build your own home to hire a Free Union, VA design and build firm. If you are renovating one or a few rooms of a house, a design and build company in Free Union, VA can still help you – they can design a kitchen, bathroom, bedroom or living room and then complete all of the renovation work for you. 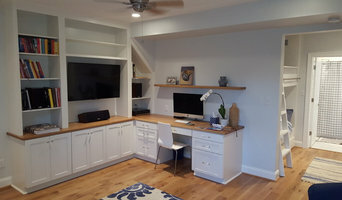 This could be a really good option if you are selling your home and want to increase its value quickly – hire a design and build firm in Free Union, VA to redesign and renovate a few rooms of your house without the hassle of dealing with various professionals or the time-consuming effort of doing it yourself. If all of this sounds ideal, then start searching for design and build procurement companies in Free Union, VA that can design a house, or room, for you and discuss design and build contracts with you. If you want to look for more specialised contractors, designers, architects or builders to help you renovate or build your own home, then you can still find them on Houzz. Here are some related professionals and vendors to complement the work of design & build: Interior Designers, Landscape Architects & Garden Designers, Architects & Building Designers, Photographers. How long have you been an established design and build company in Free Union, VA? Find a design and build company on Houzz. Narrow your search in the Professionals section of the website to Free Union, VA design and build contractors. 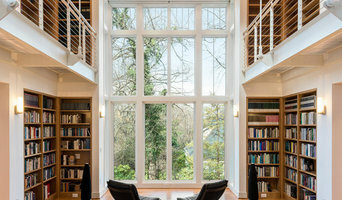 You could also look through Free Union, VA photos to find a project you like, then contact the design and build company in Free Union, VA that created it.